The Georgia State Patrol continues its investigation into the accident that claimed the life of a Toccoa woman, Wednesday morning in Stephens County. The victim has been identified as 25-year-old Kirsty Sears Franco. 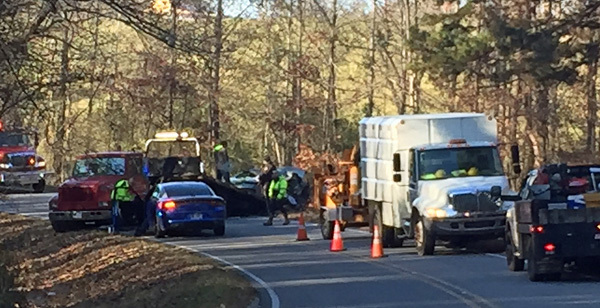 The accident was reported at 7:41 a.m., on Wednesday, and happened on West Silver Shoals Road. Officials with the GSP say the incident involved a single vehicle. According to the GSP the vehicle, a 2007 Saturn Ion, was traveling west on W. Silver Shoals Road attempting to negotiate a left curve. The vehicle then traveled off to the right side of the roadway, for no known reason, striking numerous trees before coming to an uncontrolled final rest facing south. According to the GSP report Sears Franco was entrapped inside the vehicle following the crash. Once EMS were able to extricate Sears from the vehicle, she was air lifted to Greenville Memorial Hospital where she was later pronounced dead.